Jennifer Higdon's life has been a busy one - not just composing tons of music that's been performed just about everywhere you can imagine - but attending premieres and performances all over the place. And she's been able to find the time in her schedule to come to Harrisburg for at least the Saturday night performance of her Percussion Concerto with the Harrisburg Symphony this weekend at the Forum. The concert's at 8pm but Stuart Malina will be giving the pre-concert talk an hour before. The Sunday performance will be at 3:00 again with the pre-concert talk at 2pm. You can read more about this concert in Ellen Hughes' article in the Patriot-News and listen to John Clare's video-interview from Composing Thoughts Live, recorded at the time of 2008's Harrisburg performance of her Percussion Concerto, posted on the symphony's blog, here (TBA). It was the day after Thanksgiving Day in 2005 when I celebrated the future of Classical Music by going to Philadelphia to hear their orchestra play at Kimmel Center. My first visit there had been in June 2002 to hear the world premiere of a work by a composer then unknown to me. It was an exciting experience: not only was it an impressive, enjoyable new work I wanted to hear again, it was gratifying to hear the audience’s loud and vociferous acclamation of her and her music! It was basically a performance and a response that put Jennifer Higdon on the map. This time, a road-trip with my friend and former colleague John Clare, we heard the world premiere of her latest work, a Percussion Concerto played by Colin Currie, one of the stars of a, granted, fairly small firmament but still an astounding artist I’d not had a chance to hear before. This was only one of six premieres she’d had in the past two weeks – !!! – some songs, a work for string orchestra, some chamber music and the Percussion Concerto. 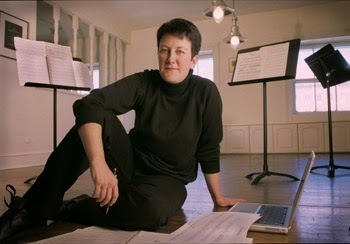 Ms. Higdon has recently completed three new concertos: the Oboe Concerto premiered in September with the St. Paul Chamber Orchestra in Minnesota; this Percussion Concerto written for Colin Currie which will also be performed with the Dallas and Indianapolis symphonies who’d jointly commissioned the work with the Philadelphia Orchestra; and the Trombone Concerto that will be premiered by the Pittsburgh Symphony in February 2006. The day after she completed the Trombone Concerto, she began writing a commission for the Tokyo String Quartet! Among other commissions, she had two more concertos in the near future: a violin concerto for Hilary Hahn and a piano concerto. 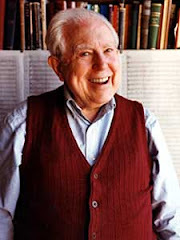 Since then, this Percussion Concerto, having gone out into the wider world, won a Grammy and in 2010 Higdon won both a Pulitzer Prize for her Violin Concerto and a Grammy for the recording of her Percussion Concerto. Her recently completed opera, Cold Mountain, will receive its world premiere in Santa Fe in August 2015 and will then be performed in Philadelphia in February of 2016. But this post is about attending the world premiere of her Percussion Concerto in November, 2005. We arrived for the pre-concert talk – I recognized composer Chris Theofanidis sitting at the end of our row (his “Rainbow Body,” another beautiful new work, is on that same Telarc CD you should have with Higdon’s “blue cathedral”). Ms. Higdon gave us some insights into how she wrote the piece, how she collaborated with the soloist. “I e-mailed Colin and asked him what he knew about the Peking Opera Gong and he said ‘I just bought one today!’ so I guess it was meant to be”; in the same food court where conductor Marin Alsop suggested a couple years ago she should write a concerto for Colin Currie, she and Colin were having lunch before Wednesday’s one-and-only rehearsal before their premiere, making slight last-minute revisions in his part. And there were certain things she pointed out to listen for. Imagine what it might have been like to have had Beethoven there to find out some of the inner thoughts and creative highlights about his Third Symphony which we’d also hear later that evening?! 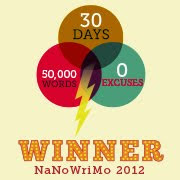 She wanted to begin the concerto quietly – “you have to have somewhere to start from, because if you begin flat out - bam! - it has nowhere to go and after 25 minutes, you’d just run screaming out of the hall” – so it begins tentatively with a few isolated four-note chords in the marimba’s lowest register (“Colin is primarily a marimbist so I really wanted to feature that instrument” – plus he was playing a five-octave instrument that had one of the most incredible sounds I’d ever heard on a marimba, the equivalent of Bosendorfer concert grand piano). In addition to interacting with the orchestra in typical concerto fashion, she also wanted the soloist to interact with the percussion section, so there was a good deal of back-and-forth interplay there as well. Since she’s writing for the Philadelphia Orchestra, she could also dream, something she can’t always do if she’s writing for a more practical purpose (like the middle school band piece she just wrote: “they told me the trumpets can only play whole notes and we have no oboes or bassoons and 16 flutes”). 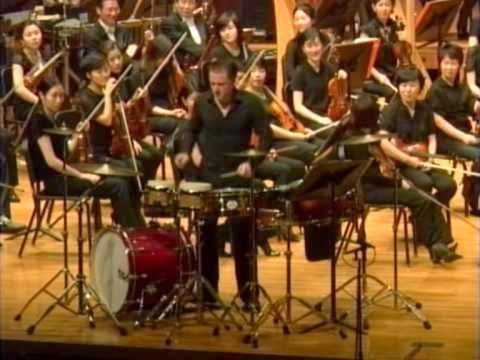 She wondered, for instance – taking off from the all-percussion movement of her Concerto for Orchestra – what it would be like to have four percussionists all just playing wood blocks. So she wrote a passage that begins with wood blocks in the soloist being answered by different sizes and types of wood blocks and temple blocks from the orchestra (“and it just sounded like this gigantic attack of woodpeckers”). There was one special effect played by the timpanist (who was moderating the pre-concert talk) where he places a cymbal on top of the timpani, then while playing a “roll” on the cymbal moves the pitch-adjusting pedal of the drum to produce an eerie kind of wah-wah-wah undulation, something she’d borrowed from her teacher, George Crumb who wrote a great deal of unexpected colorful special effects into his music. Whether it’s borrowing or stealing (“I think it was Stravinsky who said ‘bad composers borrow, good composers steal’...”), as a composer, she’s always listening to music and squirreling away sounds in her brain that will pop up when she’s looking for something she can do here or there: the point is, of course, to make it work in your own language whether you borrow (or steal) it from Beethoven or Bartok. She also explained how she wrote the cadenza, the section of any traditional concerto where the soloist gets a chance to ‘show off’ by himself and which, in the old days, was supposed to be improvised. The practicality here was how to work in and out of it, not just for the integrity of the music’s flow, but also to bring the orchestra back into it. She notated a beginning and a closing accompanied by the percussion section of the orchestra, but in between the soloist had the complete liberty of making it up as he went along. With all of these thoughts in our heads, we then proceeded into Verizon Hall to hear the world premiere. Our seats were in the third tier’s front row (not high enough to cause nose-bleeds) so we had a commanding view, if you’re not afraid of heights. There, across the front of the stage, were little groupings of lots and lots of percussion instruments. On the right, the vibraphone (with antique cymbals), the marimba to end all marimbas (beautifully rich looking even before you heard the richness of its sounds). On the other side of the podium, a set-up of stands and tables littered with brake drums (yes, taken right out of an automobile), wood blocks, the Peking Opera Gong, a bowl and a variety of other odds-and-ends to produce a whole rainbow of colorful sounds; and then on the far left, a raft of drums from tom-toms to a bass drum with at least four suspended cymbals. The Four Stations of the Soloist (we were told at the pre-concert talk, Currie wasn’t wearing black dress shoes, but black sneakers). The opening of the concerto, with its tentative chords in the marimba’s lowest register, was a mesmerizing hook: you can open a work with an attention-grabbing event like Beethoven did in his “Eroica,” two crashing chords, or you can do something quiet and subtle that draws you into the piece by creating a sound-world that makes you think “wow, what’s this?” Gradually, the percussionists from the orchestra blend in, augmenting the soloist – Chris Theofanidis, sitting in the lower level, told us at intermission he missed a lot of the interplay between the soloist and the back of the orchestra where the other percussionists were spread out, so it must have been amusing to see the soloist walk from the marimba over to the vibraphone and yet still hear the marimba playing – man, is he good! It’s one of the tricks a composer can use to bridge the sounds into a better flow and also, on a more pragmatic side, give the soloist a chance to reposition himself at these different stations on the stage without pointing out “okay, I’m moving, now,” and without getting out-of-breath in the process. When the full orchestra came in and turned everything up several notches, the soloist was now wailing away at the vibraphone – rapid-fire passages up and down the instrument which, perhaps by the accident of our seats, I was unable to hear well through the texture. Then it was back to the marimba and eventually back-and-forth from station to station to explore first this sound, then that one. At no point did my interest flag; nowhere was I thinking “oh, that one, again.” It was always a new moment, and often, as Newman put it, “a magical moment.” The woodpeckers came and went (a smile of recognition, there) and by the time we got to the cadenza it occurred to me this was a 25-minute piece but did this mean it was going to be over already? (I would have guessed maybe only 10 minutes had flown by). The cadenza itself would have done Gene Krupa proud, an all-out big-band explosion (this is, after all, a concussion concerto) that came to a rapid boil: when it was over, several people in the audience started to applaud before they realized the piece ain’t over yet! The orchestra came back in and wrapped things up by driving it even further: I can’t even remember how it ended except with a collective whoop from the audience, a prolonged burst of applause and many people standing and cheering – for the orchestra, for the soloist but especially for the composer! My immediate response was “PLAY IT AGAIN!” There was so much I wanted to hear that would need a second and third time to discover, magical moments to savor again, new ones that may have been overlooked in the excitement the first time around. The orchestra never seemed a bit tentative as one might expect in a new work: you could tell they loved playing this music! Colin Currie owned the piece (figuratively speaking), an equally passionate advocate for just one of three new concertos he’s premiering this season (does he have favorites? probably the one he’s playing at the moment). And it only reinforced my initial reaction to the concerto the orchestra played three years ago: here’s a composer who really knows what she’s doing! While the light-speed classical music moves at doesn't compare to the popular world's (by the time a new contemporary classical piece gets premiered, heard round-the-world, recorded, and ends up in the repertoire can span life-times for some pop stars), the Percussion Concerto has been taken up by numerous soloists - the Harrisburg Symphony's Chris Rose was the second performer to play it after Colin Currie's exclusivity ran its course - and been performed in numerous venues around the world. The Harrisburg Symphony first performed it here in 2008. "The crowd exploded," Malina said, [quoted in Ellen Hughes' recent article with the Patriot-News]. "It's the single most requested work for a second performance I've ever had - a compelling piece, played by a gifted performer," he said. And so it returns as the final concert of the 2013-14 Season, called "Out with a Bang" not just because of the array of percussion instruments lining the front of the stage, but also for the triumphant (and noisy) finale of Tchaikovsky's 5th Symphony that ends the concert. It's rare to have a recent work repeated at all in most orchestra's programs, so it's amazing to get a chance to hear this exciting work a second time in Harrisburg in six years (has it been that long?). And especially rare for it's having been so frequently requested by members of our audience!